Bus stop bike parking. Enormous need on weekdays, less on weekends. Mass parked bikes in The Netherlands are not "abandoned". which no longer exist. Courtesy Bing Maps. When we first moved to Assen there was a lot of work taking place at the North of the city. A road was being rebuilt to provide better access by motor vehicle to the North and the cycle-path alongside was also being rebuilt to provide a far better route by bicycle to the North. now than in 2006, but far more bicycle parking spaces. At the same time, the facilities for buses were being improved. The existing bus-stop which could take just one bus at a time was expanded into four bus stops. At the time, the cycle-parking for the bus stops was considerably enlarged as well. The bus services from this stop have been successful and therefore because people cycle to this bus-stop, more cycle-parking was required. The cycle-parking has been expanded since it was originally built by taking away car parking spaces. The full extent of cycle-parking now is as shown in the image where cycle-parking is highlighted in red. Some of this was built over spaces which had been constructed as car parking only a few years previously. This bus stop is on the Study Tour route so we have shown it with varying amounts of cycle-parking to quite a few visitors to Assen. Because we always operate the tour on week days, the cycle-parking is usually full with bicycles which belong to commuters (you can catch a bus from here to Groningen or other towns and cities). However, if you visit the same location on the weekend, the cycle-parking is almost empty. 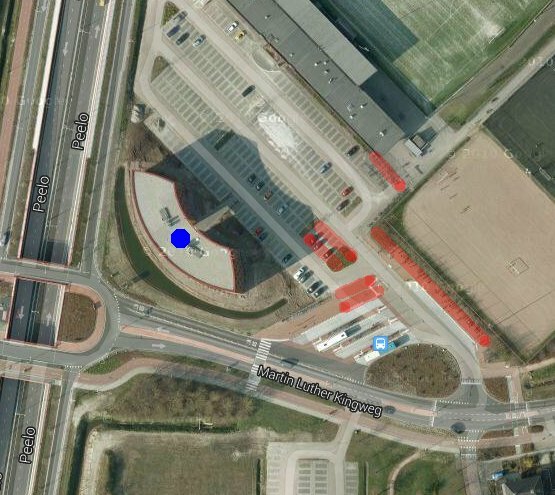 There is a persistent myth about how massed bikes at Dutch railway and bus stations are "abandoned" however this is not true. The rates of usage are enormous compared with other countries and actually the people who manage cycle-parks like this are very efficient at removing abandoned bikes so that legitimate users can find a space. Bigger map. Google Maps data currently dates from 2009 so does not show the most recent changes in the area. There's a bus lane here, but it is not combined with the cycle-path. I've never seen a combined bus and bike lane in the Netherlands. There are hundreds of spaces here, and their presence demonstrates which you can't take bicycles on buses in The Netherlands. It's nice to be able to do so, but it only works if very few people use a bicycle to get to the bus stop. In The Netherlands you can't rely on that. 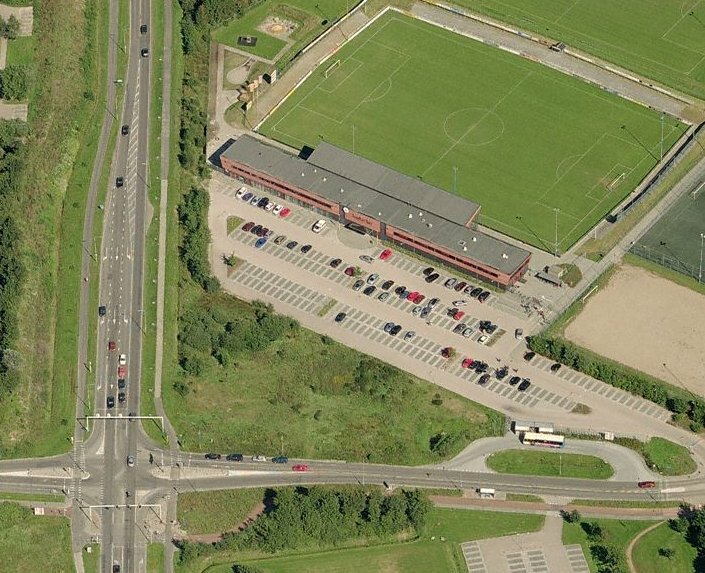 The long red building is both a football club and Chinese restaurant. This cycle parking was upgraded again in November. The parked bikes are now sheltered from the weather. Today the September open Study Tour is viewing this bus stop amongst many other locations in Assen. How much time do you have ? Who are we doing this for ? attempt to call for "space for cycling"
the same tried and failed campaigns..
After much campaigning effort on behalf of cyclists in the UK, there was a debate on Monday about cycling. This has been much reported, and of course it is good news in itself that the debate happened. However, nothing has been promised as a result. All that has happened is that a motion was carried by those MPs who attended this meeting and this motion suggests setting a target of 10% of journeys by bike by 2025 and 20% by 2050. This has not been adopted by government, it is only to be the subject of more discussion. Things like this have happened before. In 1996 the British government went further than it has yet this time around. Then, the National Cycling Strategy was adopted, an organisation was set up to oversee it which had some funds allocated and promises were made including "to double the number of cycle trips in Britain by 2002, and to double them again by 2012." i.e. by last year, 8% of journeys in the UK should have been by bike. This didn't happen. What happened in reality was that the strategy was dropped quietly a few years later and the modal share for cycling in the UK stayed more or less the same. Several other initiatives have come and gone between 1996 and now, none of them leaving a significant impact. The long time-scales involved with the new motion are a concern. By 2050, many of the people who debated that motion will either be retired or have deceased. That at least lets them off the hook should the policy fail as they won't be able to be held accountable for failure. Many of the people who turned up for the mass protest ride which also took place on Monday will also be retired or deceased by 2050. Even the children of the people who went on the demo won't benefit much from a policy the result of which will only be known 37 years in the future as even they are likely to be be middle aged by the time 2050 rolls along. Timescales are important. Rapid progress is important. The UK is already forty and a half years behind, how much longer do people have to wait for decent conditions on the streets ? How much longer do campaigners who have already lived through the last forty years of indecisiveness have to wait until things start to move forwards in the UK ? Do we really have to wait another 37 years for significant progress ? Add those 37 years to the 40 years which the UK is already behind and you get a total of 77 years. i.e. 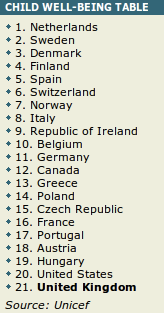 very nearly the average life-expectancy for a British male. If the motion is adopted, will the UK even then be on path to "catch up" with The Netherlands ? Unfortunately, not. If the UK was to match Dutch expenditure starting now then we could perhaps expect the quality of cycling infrastructure to approach Dutch standards asymptotically, so that it might be quite close after a decade, closer again after two decades. For more rapid progress than this considerably greater expenditure than Dutch levels would be required. Unfortunately, the most prominent campaigns in the UK set their sights at a much lower level. They have worked towards a target of just £10 per person per year, or little more than a third of the Dutch level of expenditure on cycling, or even lower figure of £100M per year, which works out at less than a tenth of the Dutch level of expenditure. A lower level of expenditure can never result in "catching up". It can only result in falling behind at a lower rate than at present, but calling for a lower level of expenditure costs just as much campaigning effort as calling for enough. How efficiently is the money spent ? What's more, we must also consider the relative efficiency of how the money is spent. In Cambridge this week we learnt that what is frankly a terrible transformation of a traffic light junction cost £450K from the cycling budget. In Assen, a much higher quality traffic light junction transformed just a few years ago cost just €32K from the cycling budget. If Britain is to achieve as much as The Netherlands does then the country not only needs to provide the same level of funding, but it also needs to spend those funds just as efficiently. Spending a third of the funds at a tenth of the efficiency certainly won't cut it. British children have to wait ? Who are we doing this for ? It can't be for today's adult cyclists because any potential result is so far off into the future that it won't help us. The children of today's generation of cycle campaigners also won't benefit much because they'll be middle aged and parents themselves by the time 2050 comes along. Perhaps the grandchildren of today's cycling campaigners might benefit while they are still children. We should be campaigning for children, but we shouldn't be doing that simply because progress is so slow that we can never expect to see results within our lifetimes. The Dutch made rapid progress in the 1970s and 80s by focusing on what was important to them and allocating the required funds. There s no reason why the UK could not do the same thing if a real commitment is made, good plans are in place, and real funding is made available. However, all these things need to come together. Our campaigning has always been a little different because of our emphasis on children. We emigrated because not only would this improve our own lives but it also seemed like the only way we could achieve a better standard of living for our own children, but of course that's not an easy thing to do and it isn't something that everyone can or should do. cycling nations also score well. For this reason, we've started campaigning very obviously in another direction. In reality it's a return to what we were always campaigning for, but hopefully this emphasis will prevent it from being so easily derailed. Walking and cycling infrastructure is but a means to an end. That end is that people can travel freely by foot and by bicycle. A different campaigning emphasis is needed to achieve the same standard of living for children in other countries as Dutch children already have. Hence The Campaign for Childhood Freedom. While walking infrastructure is common in most countries and usually already exists in a network which covers at least most of the places where distances are short and walking is a viable means of transport, cycling infrastructure is far less common. Cycling is particularly sensitive to subjective safety issues because cyclists are often expected to ride on busy roads. These concerns are doubled if parents are asked to consider what they will allow their children to do. Children won't achieve freedom due to a small number of vanity projects or by minor improvements. It requires what "Go Dutch" should have implied. i.e. a dense network of very high quality infrastructure which goes everywhere, is convenient to use and is easy to understand so that it can be used safely by a five year old walking alone or riding his/her own bike. Nothing less than this is enough. Judy and I can't be everywhere at once and in any case we don't want to travel long distances because that also would have an effect on all our children. Each country needs to own its own campaign. We want to help as much as we can by recommending ideas and we want to foster the formation of a network of people world-wide who are willing to organise campaigns in their own country which are focused on childhood freedom. For this purpose we have started a discussion forum to enable communication about how best to free children everywhere. It is their sensitivity to the danger that their children are exposed to and wanting to look after their children which causes parents to drive more than non-parents. Parents put themselves out in order to try to keep their children safe, however children don't really benefit at all from being put into automobiles to make their journeys. Children need freedom and they especially need to cycle. The freedom which comes from being able to cycle is a good part of what results in UNICEF rating the well-being of Dutch children so highly. If we could redirect some parents' energy towards a greater goal than merely trying to make their own child so safe as possible right now then we would have an enormous movement. If you want today's and tomorrow's children to be able to live as Dutch children already do, please get involved. If you're not sure what it takes, find out for yourself and ask questions on the forum. There are no "experts". Everyone's opinion is valuable. We believe that parents world wide want the best for their children and they want to see progress while their children are still young enough to benefit from it, however you do not have to be a parent yourself in order to be concerned about these issues. We respect that some people have made a very rational decision to be child-free and others cannot have children. You are welcome to take part in the discussion. All adults have a responsibility for the next generation. Let's work out together how we can achieve the same freedom for all the world's children as Dutch children already have. It's quite well known that Dutch children cycle to school and it's increasingly well known that the freedom of Dutch children is a good part of why they have such good well-being. The infrastructure which makes it possible for Dutch children to have freedom in safe conditions didn't appear by chance. It is in large part the direct result of campaigning by Dutch parents for better conditions for their children. The same type of campaigning could also pay dividends elsewhere. This is why we have started the Campaign for Childhood Freedom. It's not a "cycling" campaign. While adult cyclists elsewhere would stand to gain much by building of infrastructure as exists in The Netherlands, this campaign is not aimed at adult cyclists. It's quite important to make this distinction. This is for children. Everyones' children. Everyones' children deserve the same advantages that Dutch children already have. Every parent wants their child to be safe, to be able to develop socially, to have friends, to be healthy. All these things are enhanced by the building of an environment in which children can walk and cycle in safety. Independent travel is a large part of what makes Dutch children so happy. Note that riding is usually social and side-by-side. There's no conflict between pedestrians and cyclists because those who have a shorter distance to travel and walk have separated paths for walking while those who ride a bike have a cycle-path of sufficient width that it's possible for friends to ride together or a mother to give her child a little help. This cycle-path is 3.5 metres wide - wide enough for side-by-side cycling in both directions at once. Being independent from a young age is valuable to any child. Surely all adults remember having fun when their parents were not around. Bicycles allow children to make relatively long journeys with their friends and without needing their parents to accompany them. The average age for a child to go independently to school is 8.6 years. It is a sign of how healthy cycling is in this area that it is very rare to see a cargo bike or bakfiets used to transport even very young children. Conditions here are safe enough for children to ride their own bikes rather than be transported on their parents' bikes. Parents carry children on their own bikes for much the same reason as they drive children in cars. i.e. in an attempt to keep them safe where the infrastructure doesn't do a good enough job. Bikes parked at a secondary school waiting to be released at the end of the day. The extent to which Dutch children travel independently is quite extraordinary. On average across the whole country they go to school and back unaccompanied from the age of 8.6. Primary schools are many and their catchment areas are very small. As a result, almost all children either walk or cycle. Those who live closest to the school will walk, but 49% of primary school (age 5-11) children go to school by bike. Secondary schools (age 12 upwards) are spaced further apart. 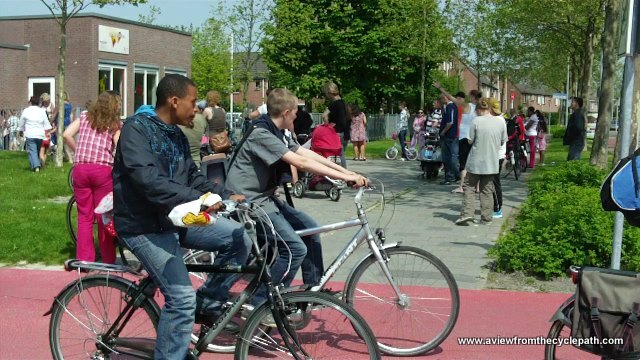 In this area of The Netherlands there are no secondary schools in the villages so it is normal for children from the age of 12 to cycle up to 40 km a day in order to get to and from school. In this part of the country a somewhat higher ratio than average of primary school children cycle (see section below) and more than 90% of secondary school aged children cycle to school. Not that it does not stop in our cold winters. 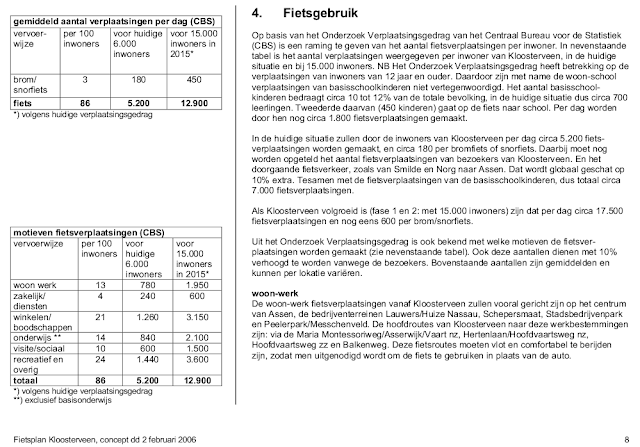 The entire document in Dutch is downloadable from our website. Kloosterveen was planned from the beginning for a high rate of cycle usage. It was expected that there would be 86 cycle trips per day made for every 100 residents. Primary school children were not included in this figure but were considered separately. Primary school children were expected to make up 10 to 12% of the total population and planners expected two thirds of them to go to school by bike. The remaining 1/3 are those who live close enough to the primary school that they are more likely to walk. By the time this suburb had a population of 6000 people, 1800 bicycle trips were made per day by primary school children in addition to the 5200 other bicycle trips per day made by everyone else. That's a total of 7000 trips per day by bicycle by 6000 people. For the whole population including primary school children that adds up to 116 trips by bicycle per day per 100 residents. It was also estimated that about 10% more trips per day could be counted if people from elsewhere riding through the suburb were included. I was doing this when I shot the video. The suburb can be used as a through route by bicycle but not by car. This suburb is expected to eventually grow to accommodate 15000 people and the intention of the planners is that by that time there will be 17500 cycle journeys per day - the expected total of residents, primary school children counted separately and cyclists from elsewhere passing through. Cycle trips per 100 residents per day. Commuting: 13, business trips: 4, shopping: 21, education (excluding primary education): 14, visits/social: 10, recreational and other: 24. 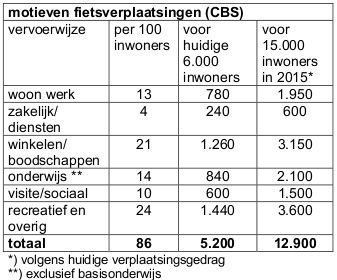 These numbers exclude the vast number of primary school children riding bikes and people from elsewhere who ride through Kloosterveen on their journeys. 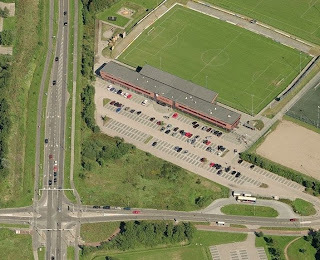 Also see the design of the shopping centre of this suburb, a route into the suburb which can be used by bikes and buses but not by car or the direct route provided to the city centre, designed to attract people from their cars, and other posts about Kloosterveen. It should be noted that there are roughly 50 other developments like this under construction across The Netherlands and all follow similar principles. Residential areas designed as long ago as the 1970s had similar aims and older residential areas have also been transformed to allow only bicycles to use them as through routes. As a result, usage patterns, including how frequently children cycle to school, are very similar in older areas to newer suburbs like Kloosterveen. 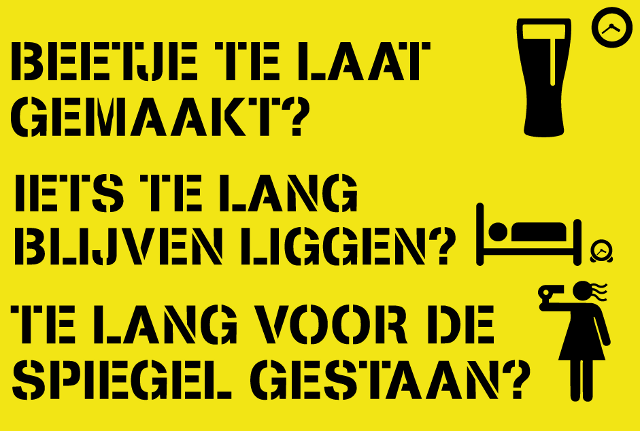 Much is often written about the nuisance of mopeds in the Netherlands. However, their numbers are usually vastly overestimated. While this suburb has 116 trips per day by bicycle for every 100 residents, there are just 3 trips per day by moped. 2.6%. Judy took the photos during last week's study tour. The video resulted from my accidentally turning towards the school during a lunchtime ride this week. Normally I'd take a different route at this time of day. There are many choices. There's an interesting blog post at Kennington People on Bikes which provides a London based counterpoint this this blog post. In Vauxhall, they're planning for no children at all to cycle to school. The post features additional photos of children cycling to school in Kloosterveen, taking by Charlie during the Study Tour two weeks ago.